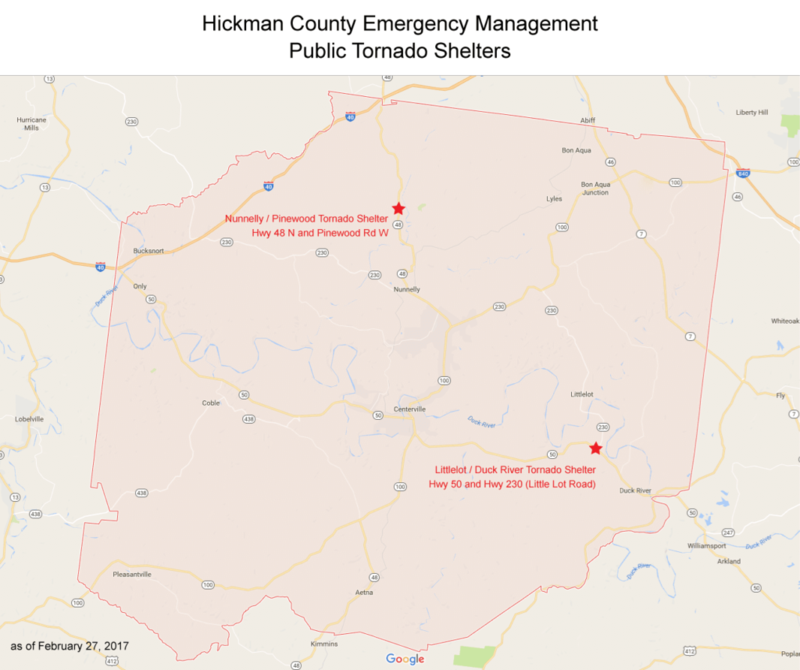 These tornado shelters are owned by Hickman County Emergency Management and are for public safety use. If you find yourself in need of tornado shelter during a severe weather event, it’s important to plan ahead enough to be able to drive to a shelter and shelter-in-place before a tornado-warned storm approaches. Watch the radar and pay close attention to see if a tornado warned storm is headed in your direction. If one is headed toward you, even before getting an official warning, it’s best to leave and arrive at the shelter in enough time to safely get inside before the storm arrives. When you arrive at the storm shelter, if it is not already unlocked, call the number at the door to retrieve the code to unlock the key. Use the key to get inside, and place the key back into the keyholder before going into the shelter. 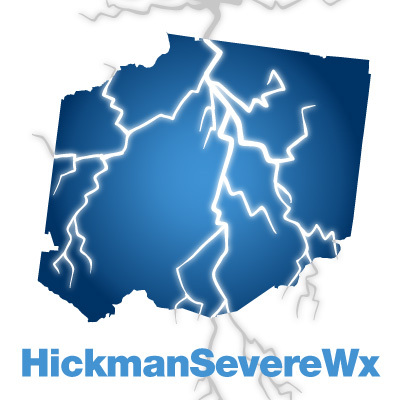 Hickman EMA will come after the storm has passed to lock the storm shelter afterwards.